What is a Ouija board and how can it help you communicate with the dead? First, let’s take a look at a little background about the Ouija board. They were created in Baltimore, Maryland in 1890 and first sold in the winter of Pittsburgh, Tennessee. But didn’t start mass production until 1901. The Ouija board uses a method called automatic writing which has ties to China from back in 1100 AD. It has apparent means of necromancy and communication with the world of the dead. Similar methods of communicating with the spirit world have been reported from all over the world throughout history. Ouija boards (typically wooden boards) have the numbers 0-9 at the bottom of the board, yes and no to the left and right, as well as each letter of the alphabet inscribed in the middle of the board. Practitioners will place their fingers on a plastic or wooden planchette, and the spirit that they summon will answer any questions you (or your group) asks them. It does this by guiding the energy of everyone to answer either yes, no, or to the appropriate letters that spell out the correct response that the entity wants to communicate to you. Now, fast forward to the year 2019, and we have free ouija board apps that we can download onto our phones and use to summon spirits, either with our friends or by ourselves. This has become a convenient way for people to talk with long lost loved ones who they can no longer speak within the physical realm. If you do decide to incite a séance by yourself, be careful, evil spirits have been known to haunt the unsuspecting individual. It’s recommended that you do séances in groups, the larger the group, the more difficult it will be for negative energies to come in. You want to have a strong protective barrier from any unwanted evil spirits that might be lurking around. Setting up candles have been said to help entice spirits to come in because they’re supposed to be attracted to dark rooms and candles. That’s simply not true. The spirits are attracted to calm energy and when you have a dark room with lit candles it gives you a higher chance of clearing your mind so your not thinking and wondering about everything around you, you’ll be completely focused on the séance. Thinking of Using a Ouija Board but Not Sure If It’s Worth the Money? Luckily for you, spirits can communicate with us in more ways than just using a physical board. Since technology has advanced so much, it’s not hard for spirits to use their surrounding energies to speak to us. Just as they can put out candle lights and make objects in the room move, they can also communicate with us through technology. They now have ouija board apps that can connect us to the spirit realm and help us speak to the spirits around us. I’ll cover the five best ouija board apps that work, but before that, let me give you some safe guidance before you decide to go on a journey and connect with the spirit realm. It’s said that before you begin a séance you should prepare yourself and your intentions. Don’t start a session without first making your intentions clear of what spirit you want to connect with (you don’t want any spirit to talk with you, trust me), and make sure you’re practicing in a safe place that you feel comfortable in. Call your spirits name out loud and tell them that you are here to ask them whatever your desired question is. If you’re having difficulties connecting with a spirit, it could be that your energy levels are not calm and you should practice meditation to clear your mind and focus your energy better. This is one of the best applications available on both the Google Play Store and the Apple App Store. Not only are the graphics high quality but so is the application itself. With over 10,000 reviews and a 4-star rating, people have been left scared out of their minds with countless stories of people speaking to real spirits. A lot of people were so scared they suggest not to download the app because they were spooked by it so much. Download at your own risk. The app is free, but you have to pay $1.99 to unlock all its features and disable ads. The reviews on this app aren’t all that good but if you want to download it and give it a try, it’s a free app that you can discover for yourself if it works or not. 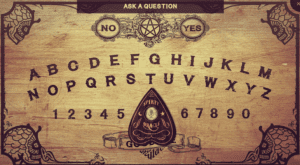 The Oui-Jä – The Genuine Ouija Board App is only available for Android devices. This app is a 3D variant of the other ouija board apps. It’s available for free on both the Google Play Store and the Apple App Store. It’s fairly new compared to the other apps but looks quite promising. They suggest doing your séance with a group setting. Keep the phone off the ground, parallel to the floor, in the middle of the group and ask a question. Any spirit nearby will subtly tilt the phone and move the planchette to guide you to the appropriate answer. This board is very simplistic in design, but good when it comes to conversing with spirits. Just ask your question and wait for any spirits to respond. Nothing else you need to do. Unfortunately, this app is only available for the Android, so if you have an iPhone your best bet is to look for another ouija board app that can help you connect with the dead. Some negative things about it though, the app might not respond and you’ll constantly get a question mark appearing instead of an answer. This app is unique in the fact that it doesn’t require you to type in your question into the app. It’s voice activated, you can just ask your question out loud and if a spirit is nearby it should answer the question through your phone. If you’re looking to connect with spirits by yourself or with a group of people, this app could be the perfect solution that you’re looking for. The Dead Voice Simulator app is also free. Should You Use an Ouija Board App to Contact the Afterlife? Please use these Ouija board apps at your own discretion, a lot of people have been extremely spooked by them and recommend never touching one. However, there’s a lot of people that long to speak to lost loved ones where the Ouija board has helped them get in touch with them. It’s important to only have good energy and intentions when using these apps because the spirits that we can’t see around us are very powerful and very tricky in the way they work. If we’re not careful with what our intentions are, and we just randomly want to connect with spirits lingering around us, there’s a good chance that we could experience something that we didn’t want to. Be mindful of what you’re doing and why. When you seek the good, the good will come, when you seek the unknown, anything is bound to happen. Users have reported speaking with spirits that have discussed in detail how they were murdered or other creepy things that could easily frighten you. If you don’t have a specific spirit that you want to connect with, then you’re leaving yourself open to any spirit that wants to connect with you. Remember when you use an Ouija board or an app, you’re expressing your intentions to connect with the spirit realm. 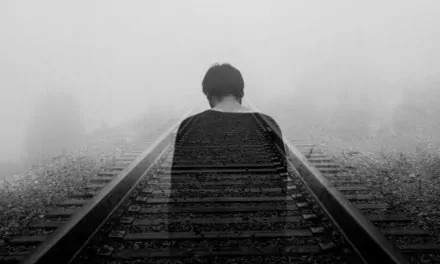 These spirits often long to contact other people in the physical realm and leaving the app open can leave you open to unwanted spiritual attacks. Being followed or haunted by an energy that you carry around with you in your pocket, might not be the best idea. Always move the planchette to “goodbye” when using a Ouija board (or the app) and ask the spirit to leave before closing it. 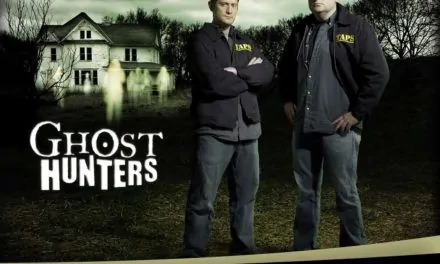 We want you to have the safest experience possible, and connecting with the paranormal can be dangerous if we’re not careful. I suggest using these apps sparingly, and only do so when you want to speak to a dead relative or a lost loved one who you’re looking for an answer from. If you’re looking to connect with any spirit, then you could be opening yourself to something you might not be ready for. Ouija board apps give us a good way to connect with the spirit world with the convenience of having an Ouija board at the tip of our fingertips wherever we go. Make sure to respect the spirits that you’re communicating with and be clear and concise with the question you want to be answered before starting your séance. Hopefully, this will help give you a better idea of if you should download and use a free ouija board app or not.